Heard of time wasters? I mean flash games, it's so easy to get distracted with all these wonderful (and free) games packed with enough entertainment to make me miss a few days of work! Anyhow I have an interest in looking at abandoned places and ruins. Decayed buildings have a sense of texture, forlorn atmosphere, objectification (is this even a word? ), creepiness, nature and surrealism all rolled into one. Yum. I've got a couple of blogs and sites bookmarked just for reference and to oogle at, maybe I'll share them another day. Most of the time I'm content with just looking at photographs, you'll never know a place in ruins might have roofs crashing on your head or you have to dodge security people, snakes and such... Here I'd like to share with you 3 of the abandoned places flash art which stand out in my mind, yes I classify them as art because they are so well made. They aren't exactly games but interactive scenes. This is a interactive flash sequence made with photos of abandoned warehouses in East Berlin, animated with some grafitti-like horror sequences. To progress each room, you will need to click or fulfill an action. Needless to say there are 99 rooms so this may be an entertaining way to kill some time. It's one of the first flash games I've ever played back in 2005, and I'm glad the site's still up. 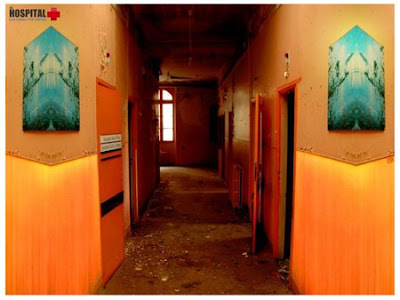 The hospital is more of an artistic approach of various scenes taken of an abandoned hospital, spliced and added with animation and surrealism. This game has no end, and you navigate by clicking on areas of the map and exiting by clicking 'back' to the menu. For a bonus you can find hotspots and a little camera icon will appear on the top right where they show the original photos compared to the screen version. Nothing scary about this game so relax! 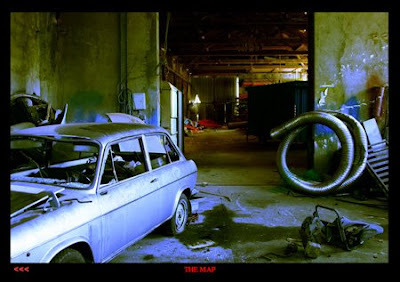 This one is a slick, horror interactive animation of an abandoned car factory of sorts. I really like how creepy it is. When you have successfully performed a series of actions by finding the hotspots, a right arrow will appear below the screen so you can proceed to the next area. Nevertheless there's a map included so you can move on easily if you're stuck. The scenes are loaded separately so it may take some time to complete this game. This one has shock & gore so enter with caution. 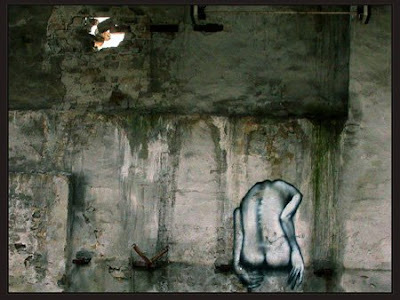 I LOVE abandoned art and stuff, this is cool!